A New Limerick man who had been sought by police is behind bars after Aroostook County sheriff’s deputies received a tip about his whereabouts through the Aroostook County Crimestoppers hotline. NEW LIMERICK, Maine — A New Limerick man who had been sought by police is behind bars after Aroostook County sheriff’s deputies received a tip about his whereabouts through the Aroostook County Crimestoppers hotline. Sheriff Shawn Gillen said Monday that deputies arrested Michael Cullins, 26, at a residence in Easton on Sunday after receiving the tip that he was there. Police charged Cullins with domestic violence threatening with a weapon. Other charges may be added once the investigation is complete, the sheriff said. 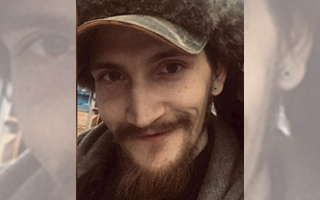 Police began searching for Cullins late last week in connection with an incident in New Limerick on Jan. 10, and posted his photo on social media sites asking for the public’s help in locating him. Police issued a warrant for his arrest stemming from the alleged domestic violence incident.